The Newport Boat Show, held April 18-21, not only set new attendance records this year — up more than 3 percent from any show in the last decade — but also one offering in particular caught the eyes of many. 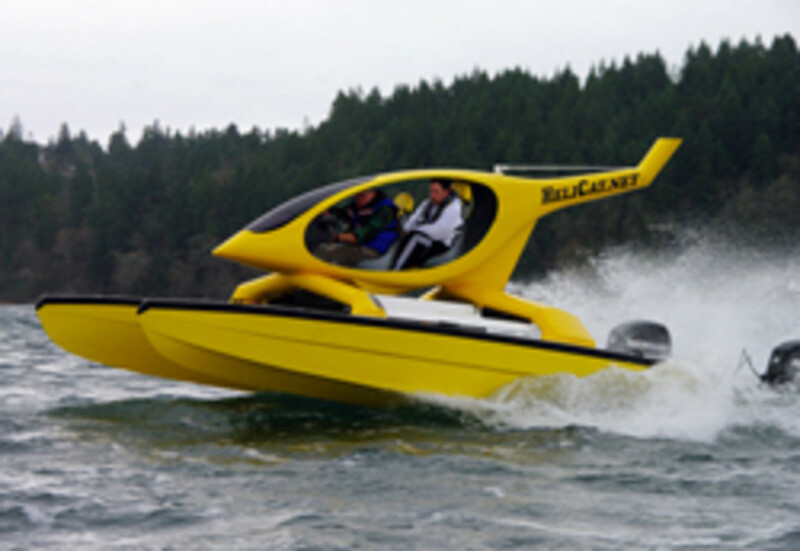 The HeliCat 22 — a flashy hybrid between a helicopter and a catamaran — got more than 30,000 views on the show’s Facebook page and had 267 shares as of this morning. Every other vessel posted on the site got between 6,000 and 9,000 views. “Our social media was getting a response,” show producer Duncan McIntosh told Trade Only Today in an email. The number of vessels 70 feet and larger was up more than 150 percent, higher than any show for the last decade. The total number of vessels exhibited in this year’s show was up 22 percent from the 2012 event, McIntosh said. And this year’s record number of show attendees included many boat buyers. Accessory, equipment and service displays and booths sold out quickly this year. “Making room for and growing this segment of the show is priority No.1 going forward,” McIntosh said. A number of charters and boat slips were sold at the show, Janette Hood, operations manager and advertising director for the Duncan McIntosh Co., said in a statement. Accessory and service exhibitors were enthusiastic about their results. “I had quite a few accessory vendors ask to give deposits on their space for the upcoming September Lido Yacht Expo and our 2014 April Newport Boat Show, as they were very successful with their sales and leads from this show,” Hood said.